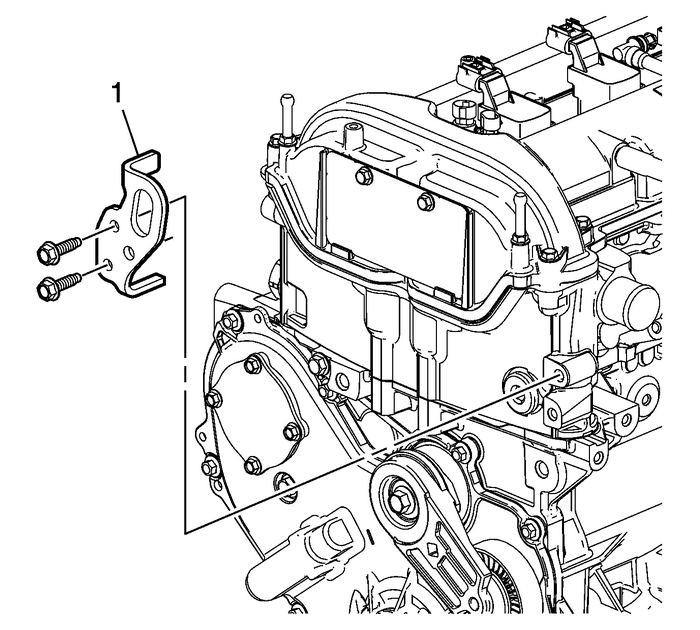 Install NEW camshaft cover grommets and camshaft cover bolts if they are servicedwith the grommet.Assemble the camshaft cover-(1) and a NEW gasket. 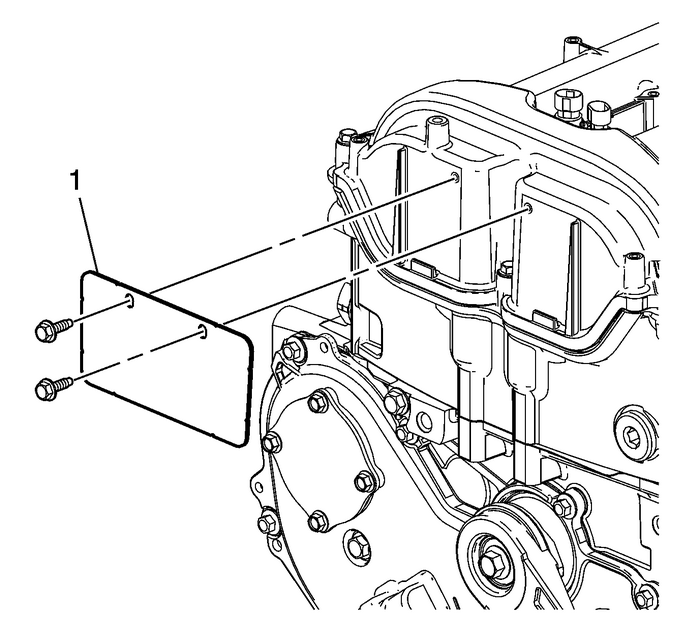 Ensure that the gasket is locatedin the retaining groove in the camshaft cover. Install the cover on the cylinder head and hand start the bolts. Tighten the boltsto 10-Y-(89-lb-in). 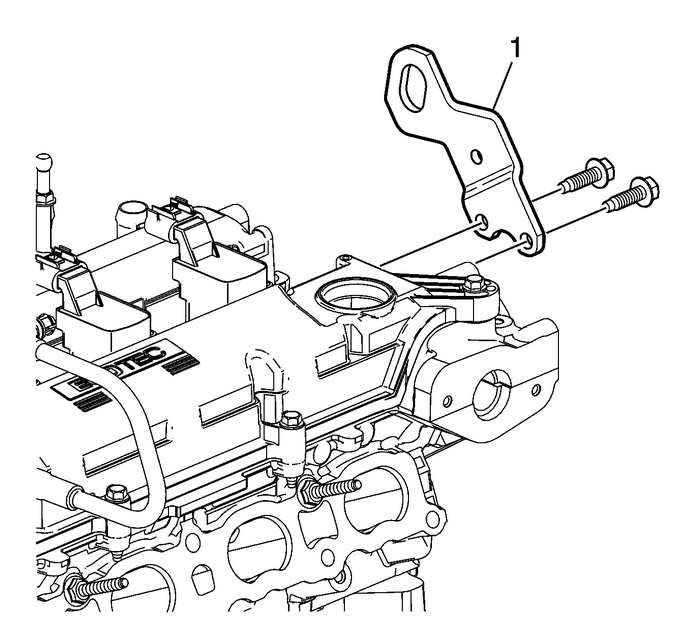 Install the camshaft housing cover insulator-(1). Tighten the bolts to 10-Y (89-lb-in). 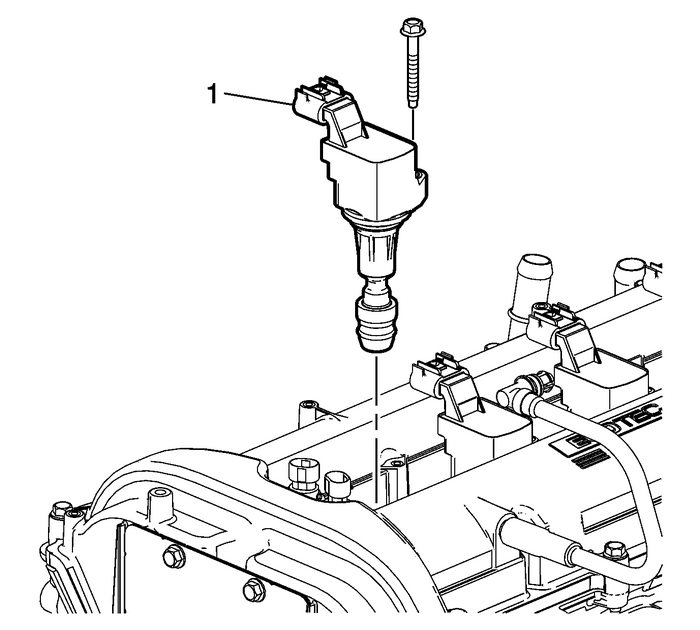 Inspect the inside of the ignition coil rubber boot for a thin, even coat of grease.If there is no grease present or additional grease is necessary, complete the followingprocedure:Apply a thin coating of dielectric grease evenly to the inside of the ignition coilrubber boot, up to a depth of 15-mm from the end of the boot. 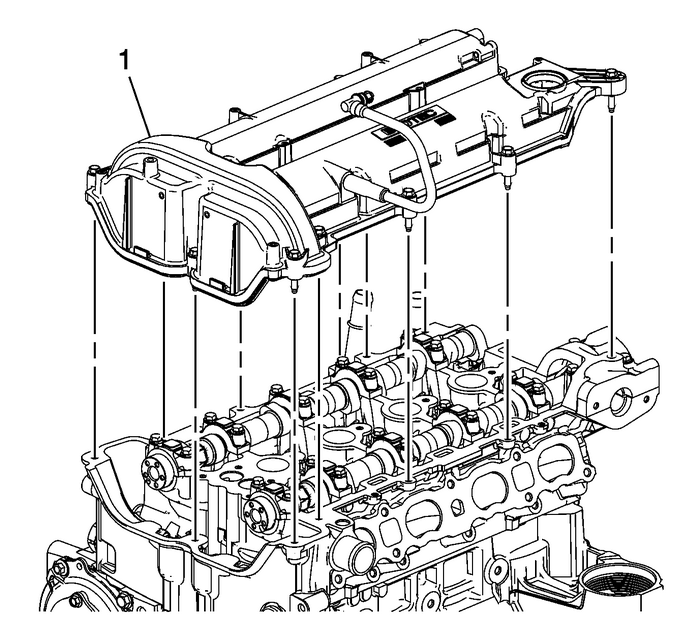 Refer toAdhesives, Fluids, Lubricants, and Sealers.Remove any excess grease from around the end of the boot, and ensure there is notan excessive amount within the boot.Install the ignition coil-(1). Tighten the bolt to 10-Y (89-lb-in). Install the front lift bracket-(1).Install the front lift bracket bolts and tighten to 25-Y-(18-lb-ft). Install the rear lift bracket-(1).Install the rear lift bracket bolts and tighten to 25-Y-(18-lb-ft).